Cyprus is known for its beaches, archaeological sites, wines and gorgeous Cyprus villas. 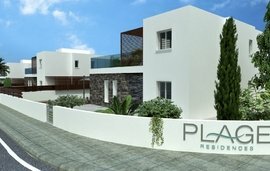 If you are looking for a Cyprus property, read on for more information about this island, dubbed the “Jewel of the Mediterranean or call us to speak to a member of our team dedicated to new developments in Cyprus. ”. Located in the Mediterranean Sea, the island’s closest neighbours are Greece, Turkey, Lebanon, Syria, Israel and Egypt. Snow capped mountains, plains, rivers and deep valleys make up the terrain of Cyprus famous for its sun-kissed shores and Mediterranean weather. With a high-income economy and steadily growing GDP, Cyprus is proving to be a popular destination in which to live and invest. A low cost of living combined with quality public healthcare (free or subsidised), top-notch free public education and universities charging low tuition fees, leaves buyers in no doubt as to why investing here is an ideal choice. Greek and Turkish are the two official languages, while English is spoken by the majority of the population, currently numbering nearly 2 million. Cyprus, steeped in history and often called the ‘Island of Love’, still celebrates time-honoured traditions like Kallikantzaroi and Plate Smashing. 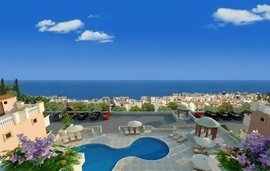 Festivals like Limassol Wine Festival and Anthestiria bring the residents out of their smart Cyprus apartments in droves. During open-air fetes such as Panigiri, enjoy the folk dancing and sip Commandaria while listening to traditional island music. With a wide variety of sports, including mountain biking, sailing and skiing and several national parks, a stone’s throw from the residences, opportunities to be fit are readily available. Elegant waterfront villas in Cyprus provide discerning residents sweeping views of the Mediterranean. 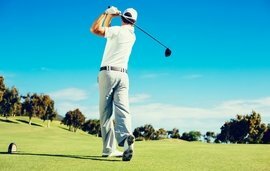 In the Aphrodite Hills complex, sumptuous apartments within walking distance of the magnificent golf course are usually snapped up as soon as they are put on the market. If you are looking for a quiet location, away from the bustle of the cities, try the quaint villages, where traditional stone houses line cobbled streets. Those intent on purchasing a luxury seafront or country villa as their secondary residents have plenty of holiday homes to choose from. Among several areas popular with our international clientele is the coastal resort of Aphrodite Hills in Paphos, renowned for its outstanding golf, spa and equestrian facilities and superb properties - the last word in luxury living. If you’re looking for apartments, villas and houses in Lanarca, Limassol and Nicosia (the capital) please contact us and our dedicated Cyprus team. While the transparent and well-established legal system in Cyprus is a definite advantage when it comes to buying and owning property here, a clear insight into the numerous property laws and taxes is advisable. It is worthwhile hiring a locally based estate agent to ensure your purchase and ownership of property in Cyprus is hassle-free. Winkworth International has a comprehensive portfolio of exceptional properties in Cyprus and would be happy to help you with your purchase. Contact us for your requirements or in the event that you are looking to sell your Cyprus property. As from Monday 13th of September 2016, the Cyprus Council of Ministers has approved the amendments to the Scheme for Naturalisation of Investors in Cyprus by Exception. The said scheme is based on subsection (2) in section 111A of the Civil Registry Laws of 2002-2015. This programme offers high net worth individuals investing here an opportunity to apply for Cyprus and European citizenship. Open to individuals of all nationalities and with minimal eligibility requirements, it’s ideal if you’re looking for a toehold in Europe and with several investment options; including luxury real estate investments at your disposal you’ll be spoilt for choice. The application process is straightforward and since your presence isn’t necessary, you can hire a legal representative to submit your documents to the Ministry of Interior. You will receive your naturalization certificate and passport within three months. Valid for life, this citizenship can be passed down to your spouse, children and dependents. Being a citizen gives you numerous benefits one of which is visa-free travel across all other EU member states, Canada and other exotic destinations. You are also free of inheritance tax and enjoy low property taxes. 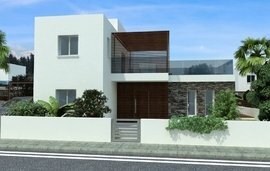 Until the end of 2016, Capital Gains Tax is also abolished making now a good time to purchase an upmarket Cyprus villa. Open to individuals of all nationalities. No requirement to be present at the time of applying. Naturalization certificate and passport granted within three months. Citizenship is valid for life and can be passed down to your spouse, children and dependents. Download Winkworth International’s brochure on how to acquire eu citizenship in Cyprus which provides detailed insight into the available investment choices and the benefits you’ll enjoy from Cyprus citizenship. International high net-worth investors looking for a country where permanent residency (PR) can be obtained quickly are often attracted to Cyprus. Here, investors in luxury property, bonds etc. receive PR within two months from the date of their application, due to the fast-track immigration service introduced by the government. As a PR holder, you need visit Cyprus only once in two years; a blessing if you don’t intend to live here immediately. Your PR is valid for life and covers your whole family (children/dependents up to 26 years only) and can be passed down to your spouse and dependents. There are several options you can use to qualify for PR. If it’s a property investment you opt for, you’ll have plenty of choice given the variety of stunning Cyprus houses and apartments for sale. Once you’re satisfied that you meet all the eligibility conditions, submit your documentation to the Migration department personally or through a representative. Holding a Permanent Residence permit entitles you to a number of benefits including reduced 5% VAT, no inheritance tax and low property taxes. 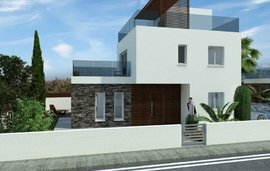 You also won’t have to pay Capital Gains Tax if you purchase property before 31st December 2016, a good incentive to start arranging viewings to Cyprus villas today. Granted within two months from the date of application. A visit to Cyprus once every two years suffices. Lifelong validity and coverage for the entire family (children/dependents up to 26 years only). Ability to pass down PR to your spouse and dependents. Cyprus’ resilient, high-income economy makes it a great destination to invest in. This stunning island’s swift return to the international financial markets following the Euro debt crisis is remarkable and owing to a combination of attractive foreign direct investments, booming tourism and a positive growth rate, this European nation is now out of recession. 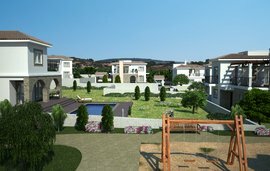 Buying a freehold Cyprus property is therefore a safe investment and if you complete the purchase before this year ends, you can enjoy several government incentives including low interest rates (good news if you’re planning on a mortgage), 0% tax on Capital Gains and reduced or nil transfer fees. VAT reductions also apply till the close of 2016 and as a Cyprus property owner (if your residence has a market value of 5 million euros), the Cyprus citizenship scheme is open to you. Other great reasons to reside here include the island’s GDP, its warm Mediterranean climate and position as a regional hub for Europe, Asia and the Middle East. The large quantity of natural gas discovered in the Aphrodite gas field by an offshore firm is considered commercially exploitable. Plans are currently underway to initiate its export to regions like Egypt via direct subsea pipelines. Once these plans unfold, the drilling and export of natural gas will generate employment on a large scale, thereby bringing down the unemployment rate. Cyprus also hopes to efficiently utilize its natural gas for domestic electricity generation. Additionally, to uncover enough gas reserves to warrant building an onshore terminal. Key personnel believe this step will give the island a stronger voice in defining terms governing export of natural gas reserves and enable Cyprus to consolidate its position as a regional energy player. High-income economy set to grow further with increasing exports of natural gas. 0% tax on Capital Gains. Reduced or nil transfer fees. VAT reductions till the close of 2016. Regional hub for Europe, Asia and the Middle East, making it a good location to establish commercial enterprises. 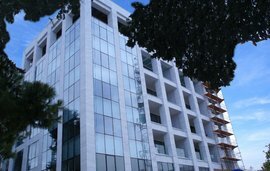 Chance for owners of Cyprus residences worth at least 5 million euros to apply for EU citizenship. Download Winkworth International’s brochure - Cyprus: Europe’s best kept secret - for more information on the benefits of investing in this economic hotspot. Winkworth International has a comprehensive portfolio of exceptional new homes in Cyprus and would be happy to help you with your purchase. Get in touch for your requirements or in the event that you are looking to sell your Cyprus property.